Writing with wire is funny and useful. 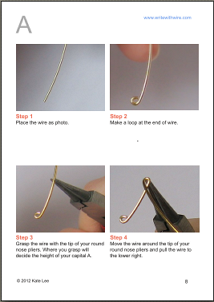 While writing with wire, you are not only making a wonderful craft but also developing your creativity. You can write names or any words with wire to make a custom personal pendant, charm, dangle, bracelet, necklace, earrings, name card, bookmark, pen topper, tie clip and so on. 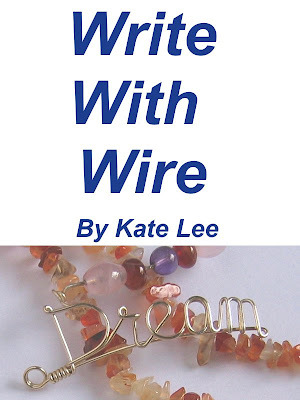 This book is dedicated to give the readers the easiest and best way to learn how to write with wire. 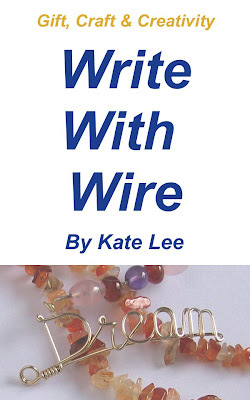 There are plenty of photos showing you how to write with wire and control wires easily. If you have any question, you can contact me.